I am David Grangier, welcome to my homepage. I am currently with Google Brain, located in Mountain View, CA, USA. I am interested in large scale Machine Learning and its application to pattern analysis tasks, such as Information Retrieval, Speech Recognition and Natural Language Processing. My research is described in below, while my linkedin gives an overview of my previous experiences. The generation of text by computers is relevant to machine translation, summarization, question answering... From a machine learning perspective, it involves conditional language modeling, learning text representation and learning to search a discrete space of sequence for decoding. Learning to rank has increasingly received attention during the last decade, due to applications in domains such as information retrieval. These types of problems aim at assigning a confidence value to each example of a set, such that the values induce a specific ordering over the set. This task hence significantly differs from classical machine learning problem, since the example outputs cannot be considered independently. Many effective learning algorithms, such as nearest neighbor classifiers or support vector machines, crucially relies on a function to compare examples. Such a function can be referred to as a distance metric, a similarity measure or a kernel, depending on its mathematical properties. Rather than defining this function relying only on prior knowledge, new learning techniques have been introduced to learn it from training data providing information on the desired example proximity. In many problems, specific relations exist between the different inputs or between the labels. For instance, computer vision features extracted from the same image share spatial relations, or the phoneme classes in speech belong to a hierarchical structure. Encoding prior information about such structures, or learning such relationships offer great opportunities to improve machine learning approaches for several pattern recognition problems, and several techniques has been introduced toward this objective in the recent years. Dario Pavllo, Christoph Feichtenhofer, David Grangier, Michael Auli - Conference on Computer Vision and Pattern Recognition (CVPR). 2019. In this work, we demonstrate that 3D poses in video can be effectively estimated with a fully convolutional model based on dilated temporal convolutions over 2D keypoints. We also introduce back-projection, a simple and effective semi-supervised training method that leverages unlabeled video data. We start with predicted 2D keypoints for unlabeled video, then estimate 3D poses and finally back-project to the input 2D keypoints. In the supervised setting, our fully-convolutional model outperforms the previous best result from the literature by 6 mm mean per-joint position error on Human3.6M, corresponding to an error reduction of 11%, and the model also shows significant improvements on HumanEva-I. Moreover, experiments with back-projection show that it comfortably outperforms previous state-of-the-art results in semi-supervised settings where labeled data is scarce. Code and models are available. Sergey Edunov, Myle Ott, Michael Auli, David Grangier - Conference on Empirical Methods in Natural Language Processing (EMNLP). 2018. Myle Ott, Sergey Edunov, David Grangier, Michael Auli - Workshop on Machine Translation (WMT@EMNLP). 2018. Sequence to sequence learning models still require several days to reach state of the art performance on large benchmark datasets using a single machine. This paper shows that reduced precision and large batch training can speedup training by nearly 5x on a single 8-GPU machine with careful tuning and implementation. On WMT'14 English-German translation, we match the accuracy of Vaswani et al (2017) in under 5 hours when training on 8 GPUs and we obtain a new state of the art of 29.3 BLEU after training for 91 minutes on 128 GPUs. We further improve these results to 29.8 BLEU by training on the much larger Paracrawl dataset. Dario Pavllo, David Grangier, Michael Auli - British Machine Vision Conference (BMVC). 2018. Myle Ott, Michael Auli, David Grangier, Marc’Aurelio Ranzato - International Conference on Machine Learning (ICML). 2018. Angela Fan, David Grangier, Michael Auli - ACL Workshop on Neural Machine Translation and Generation (NMT@ACL) 2018. Sergey Edunov, Myle Ott, Michael Auli, David Grangier, Marc’Aurelio Ranzato - Conference of the North American Chapter of the Association for Computational Linguistics (NAACL). 2018. David Grangier and Michael Auli - Conference of the North American Chapter of the Association for Computational Linguistics (NAACL). 2018. We propose a framework for computer-assisted text editing. It applies to translation post-editing and to paraphrasing and relies on very simple interactions: a human editor modifies a sentence by marking tokens they would like the system to change. Our model then generates a new sentence which reformulates the initial sentence by avoiding the words from the marked tokens. Our approach builds upon neural sequence-to-sequence modeling and introduces a neural network which takes as input a sentence along with deleted token markers. Our model is trained on translation bitext by simulating post-edits. Our results on post-editing for machine translation and paraphrasing evaluate the performance of our approach. We show +11.4 BLEU with limited post-editing effort on the WMT-14 English-German translation task (25.2 to 36.6), which represents +5.9 BLEU over the post-editing baseline (30.7 to 36.6). Jonas Gehring, Michael Auli, David Grangier, Denis Yarats, Yann N. Dauphin - International Conference on Machine Learning (ICML). 2017. Yann N. Dauphin, Angela Fan, Michael Auli and David Grangier - International Conference on Machine Learning (ICML). 2017. The pre-dominant approach to language model- ing to date is based on recurrent neural networks. In this paper we present a convolutional approach to language modeling. We introduce a novel gating mechanism that eases gradient propagation and which performs better than the LSTM- style gating of Oord et al. (2016b) despite being simpler. We achieve a new state of the art on WikiText-103 as well as a new best single-GPU result on the Google Billion Word benchmark. In settings where latency is important, our model achieves an order of magnitude speed-up compared to a recurrent baseline since computation can be parallelized over time. To our knowledge, this is the first time a non-recurrent approach out- performs strong recurrent models on these tasks. E. Grave and A. Joulin and M. Cisse and D. Grangier and H. Jegou - International Conference on Machine Learning (ICML). 2017. We propose an approximate strategy to efficiently train neural network based language models over very large vocabularies. Our approach, called adaptive softmax, circumvents the linear dependency on the vocabulary size by exploiting the unbalanced word distribution to form clusters that explicitly minimize the expectation of computational complexity. Our approach further reduces the computational cost by exploiting the specificities of modern architectures and matrix-matrix vector operations, making it particularly suited for graphical processing units. Our experiments carried out on standard benchmarks, such as EuroParl and One Billion Word, show that our approach brings a large gain in efficiency over standard approximations while achieving an accuracy close to that of the full softmax. Jonas Gehring, Michael Auli, David Grangier, Yann N. Dauphin - Conference of the Association for Computational Linguistics (ACL). 2017. Roman Novak, Michael Auli, David Grangier - arXiv:1610.06602. 2016. Gurvan L'Hostis, David Grangier, Michael Auli - arXiv:1610.00072. 2016. Remi Lebret, David Grangier, Michael Auli - Conference on Empirical Methods in Natural Language Processing (EMNLP). 2016. This paper introduces a neural model for concept-to-text generation that scales to large, rich domains. We experiment with a new dataset of biographies from Wikipedia that is an order of magnitude larger than existing resources with over 700k samples. The dataset is also vastly more diverse with a 400k vocabulary, compared to a few hundred words for Weathergov or Robocup. Our model builds upon recent work on conditional neural language model for text generation. To deal with the large vocabulary, we extend these models to mix a fixed vocabulary with copy actions that transfer sample-specific words from the input database to the generated output sentence. Our neural model significantly out-performs a classical Kneser-Ney language model adapted to this task by nearly 15 BLEU. W. Chen, D. Grangier and M. Auli - Conference of the Association for Computational Linguistics (ACL). 2016. Training neural network language models over large vocabularies is still computationally very costly compared to count-based models such as Kneser-Ney. At the same time, neural language models are gaining popularity for many applications such as speech recognition and machine translation whose success depends on scalability. We present a systematic comparison of strategies to represent and train large vocabularies, including softmax, hierarchical softmax, target sampling, noise contrastive estimation and self normalization. We further extend self normalization to be a proper estimator of likelihood and introduce an efficient variant of softmax. We evaluate each method on three popular benchmarks, examining performance on rare words, the speed/accuracy trade-off and complementarity to Kneser-Ney. C. Jandot, P. Simard, M. Chickering, D. Grangier, J. Suh - ICML Workshop on Human Interpretability in Machine Learning (WHI). 2016. In text classification, dictionaries can be used to define human-comprehensible features. We propose an improvement to dictionary features called smoothed dictionary features. These features recognize document contexts instead of n-grams. We describe a principled methodology to solicit dictionary features from a teacher, and present results showing that models built using these human-comprehensible features are competitive with models trained with Bag of Words features. Y. Dauphin, D. Grangier - International Conference on Learning Representation (ICLR). 2016. Conditional belief networks introduce stochastic binary variables in neural networks. Contrary to a classical neural network, a belief network can predict more than the expected value of the output Y given the input X. It can predict a distribution of outputs Y which is useful when an input can admit multiple outputs whose average is not necessarily a valid answer. Such networks are particularly relevant to inverse problems such as image prediction for denoising, or text to speech. However, traditional sigmoid belief networks are hard to train and are not suited to continuous problems. This work introduces a new family of networks called linearizing belief nets or LBNs. A LBN decomposes into a deep linear network where each linear unit can be turned on or off by non-deterministic binary latent units. It is a universal approximator of real-valued conditional distributions and can be trained using gradient descent. Moreover, the linear pathways efficiently propagate continuous information and they act as multiplicative skip-connections that help optimization by removing gradient diffusion. This yields a model which trains efficiently and improves the state-of-the-art on image denoising and facial expression generation with the Toronto faces dataset. P. Simard, M. Chickering, A. Lakshmiratan, L. Bottou, C. Garcia, D. Grangier, S. Amershi, J. Verwey, J. Suh - arXiv:1409.4814. 2014. Quick interaction between a human teacher and a learning machine presents numerous benefits and challenges when working with web-scale data. The human teacher guides the machine towards accomplishing the task of interest. The learning machine leverages big data to find examples that maximize the training value of its interaction with the teacher. When the teacher is restricted to labeling examples selected by the machine, this problem is an instance of active learning. When the teacher can provide additional information to the machine (e.g., suggestions on what examples or predictive features should be used) as the learning task progresses, then the problem becomes one of interactive learning. To accommodate the two-way communication channel needed for efficient interactive learning, the teacher and the machine need an environment that supports an interaction language. The machine can access, process, and summarize more examples than the teacher can see in a lifetime. Based on the machine's output, the teacher can revise the definition of the task or make it more precise. Both the teacher and the machine continuously learn and benefit from the interaction. We have built a platform to (1) produce valuable and deployable models and (2) support research on both the machine learning and user interface challenges of the interactive learning problem. The platform relies on a dedicated, low-latency, distributed, in-memory architecture that allows us to construct web-scale learning machines with quick interaction speed. The purpose of this paper is to describe this architecture and demonstrate how it supports our research efforts. Preliminary results are presented as illustrations of the architecture but are not the primary focus of the paper. X. Shi, JF. Paiement, D. Grangier and P. Yu - Statistical Analysis and Data Mining (SADM). 2013. With the rapid development of database technologies, multiple data sources may be available for a given learning task (e.g. collaborative ﬁltering). However, the data sources may contain diﬀerent types of features. For example, users' proﬁles can be used to build recommendation systems. In addition, a model can also use users' historical behaviors and social networks to infer users' interests on related products. We argue that it is desirable to collectively use any available multiple heterogeneous data sources in order to build eﬀective learning models. We call this framework heterogeneous learning. In our proposed setting, data sources can include (i) nonoverlapping features, (ii) nonoverlapping instances, and (iii) multiple networks (i.e. graphs) that connect instances. In this paper, we propose a general optimization framework for heterogeneous learning, and devise a corresponding learning model from gradient boosting. The idea is to minimize the empirical loss with two constraints: (1) there should be consensus among the predictions of overlapping instances (if any) from diﬀerent data sources; (2) connected instances in graph datasets may have similar predictions. The objective function is solved by stochastic gradient boosting trees. Furthermore, a weighting strategy is designed to emphasize informative data sources, and deemphasize the noisy ones. We formally prove that the proposed strategy leads to a tighter error bound. This approach consistently outperforms a standard concatenation of data sources on movie rating prediction, number recognition, and terrorist attack detection tasks. Furthermore, the approach is evaluated on AT&T's distributed database with over 500 000 instances, 91 diﬀerent data sources, and over 45 000 000 joined features. We observe that the proposed model can improve out-of-sample error rate substantially. X. Shi, JF. Paiement, D. Grangier and P. Yu - SIAM International Conference on Data Mining (SDM). 2012. Multiple data sources containing different types of features may be available for a given task. For instance, users’ profiles can be used to build recommendation systems. In addition, a model can also use users’ historical behaviors and social networks to infer users’ interests on related products. We argue that it is desirable to collectively use any available multiple heterogeneous data sources in order to build effective learning models. We call this framework heterogeneous learning. In our proposed setting, data sources can include (i) non-overlapping features, (ii) non-overlapping instances, and (iii) multiple networks (i.e. graphs) that connect instances. In this paper, we propose a general optimization framework for heterogeneous learning, and devise a corresponding learning model from gradient boosting. The idea is to minimize the empirical loss with two constraints: (1) There should be consensus among the predictions of overlapping instances (if any) from different data sources; (2) Connected instances in graph datasets may have similar predictions. The objective function is solved by stochastic gradient boosting trees. Furthermore, a weighting strategy is designed to emphasize informative data sources, and deemphasize the noisy ones. We formally prove that the proposed strategy leads to a tighter error bound. This approach consistently outperforms a standard concatenation of data sources on movie rating prediction, number recognition and terrorist attack detection tasks. We observe that the proposed model can improve out-of-sample error rate by as much as 80%. D. Grangier and I. Melvin - Advances in Neural Information Processing Systems (NIPS). 2010. We present a new learning strategy for classification problems in which train and/or test data suffer from missing features. In previous work, instances are represented as vectors from some feature space and one is forced to impute missing values or to consider an instance-specific subspace. In contrast, our method considers instances as sets of (feature,value) pairs which naturally handle the missing value case. Building onto this framework, we propose a classification strategy for sets. Our proposal maps (feature,value) pairs into an embedding space and then non-linearly combines the set of embedded vectors. The embedding and the combination parameters are learned jointly on the final classification objective. This simple strategy allows great flexibility in encoding prior knowledge about the features in the embedding step and yields advantageous results compared to alternative solutions over several datasets. J. Weston, S. Bengio and D. Grangier - Advances in Neural Information Processing Systems (NIPS). 2010. Multi-class classification becomes challenging at test time when the number of classes is very large and testing against every possible class can become computationally infeasible. This problem can be alleviated by imposing (or learning) a structure over the set of classes. We propose an algorithm for learning a tree-structure of classifiers which, by optimizing the overall tree loss, provides superior accuracy to existing tree labeling methods. We also propose a method that learns to embed labels in a low dimensional space that is faster than non-embedding approaches and has superior accuracy to existing embedding approaches. Finally we combine the two ideas resulting in the label embedding tree that outperforms alternative methods including One-vs-Rest while being orders of magnitude faster. B. Bai, J. Weston, D. Grangier, R. Collobert, C. Cortes and M. Mohri - Artificial Intelligence and Statistics (AISTATS). 2010. We study the standard retrieval task of ranking a fixed set of items given a previously unseen query and pose it as the half-transductive ranking problem. Transductive representations (where the vector representation of each example is learned) allow the generation of highly nonlinear embeddings that capture the characteristics of object relationships without relying on a specific choice of features, and require only relatively simple optimization. Unfortunately, they have no direct out-of-sample extension. Inductive approaches on the other hand allow for the representation of unknown queries. We describe algorithms for this setting which have the advantages of both transductive and inductive approaches, and can be applied in unsupervised (either reconstruction-based or graph-based) and supervised ranking setups. We show empirically that our methods give strong performance on all three tasks. B. Bai, J. Weston, D. Grangier, R. Collobert, C. Cortes and M. Mohri - NIPS Workshop on Advances in Ranking. 2009. We study the standard retrieval task of ranking a fixed set of documents given a previously unseen query and pose it as the half-transductive ranking problem. The task is partly transductive as the document set is fixed. Existing transductive approaches are natural non-linear methods for this set, but have no direct out-of-sample extension. Functional approaches, on the other hand, can be applied to the unseen queries, but fail to exploit the availability of the document set in its full extent. This work introduces a half-transductive approach to benefit from the advantages of both transductive and functional approaches and show its empirical advantage in supervised ranking setups. B. Bai, J. Weston, D. Grangier, R. Collobert, K. Sadamasa, Y. Qi, C. Cortes and M. Mohri - Advances in Neural Information Processing Systems (NIPS). 2009. We present a class of nonlinear (polynomial) models that are discriminatively trained to directly map from the word content in a query-document or document-document pair to a ranking score. Dealing with polynomial models on word features is computationally challenging. We propose a low-rank (but diagonal preserving) representation of our polynomial models to induce feasible memory and computation requirements. We provide an empirical study on retrieval tasks based on Wikipedia documents, where we obtain state-of-the-art performance while providing realistically scalable methods. B. Bai, J. Weston, D. Grangier, R. Collobert, Y. Qi, K. Sadamasa, O. Chapelle and K. Weinberger - Information Retrieval -- Special Issue on Learning to Rank, Springer. 2009. In this article we present Supervised Semantic Indexing (SSI) which defines a class of nonlinear (quadratic) models that are discriminatively trained to directly map from the word content in a query-document or document-document pair to a ranking score. Like Latent Semantic Indexing (LSI), our models take account of correlations between words (synonymy, polysemy). However, unlike LSI our models are trained from a supervised signal directly on the ranking task of interest, which we argue is the reason for our superior results. As the query and target texts are modeled separately, our approach is easily generalized to different retrieval tasks, such as cross-language retrieval or online advertising placement. Dealing with models on all pairs of words features is computationally challenging. We propose several improvements to our basic model for addressing this issue, including low rank (but diagonal preserving) representations, correlated feature hashing (CFH) and sparsification. We provide an empirical study of all these methods on retrieval tasks based on Wikipedia documents as well as an Internet advertisement task. We obtain state-of-the-art performance while providing realistically scalable methods. B. Bai, J. Weston, D. Grangier, R. Collobert, Y. Qi, K. Sadamasa, O. Chapelle and K. Weinberger - ACM Conference on Information and Knowledge Management (CIKM). 2009. In this article, we propose Supervised Semantic Indexing (SSI), an algorithm that is trained on (query, document) pairs of text documents to predict the quality of their match. Like Latent Semantic Indexing (LSI), our models take account of correlations between words (synonymy, polysemy). However, unlike LSI our models are trained with a supervised signal directly on the ranking task of interest, which we argue is the reason for our superior results. As the query and target texts are modeled separately, our approach is easily generalized to different retrieval tasks, such as online advertising placement. Dealing with models on all pairs of words features is computationally challenging. We propose several improvements to our basic model for addressing this issue, including low rank (but diagonal preserving) representations, and correlated feature hashing (CFH).We provide an empirical study of all these methods on retrieval tasks based on Wikipedia documents as well as an Internet advertisement task. We obtain state-of-the-art performance while providing realistically scalable methods. B. Bai, J.Weston, R. Collobert and D. Grangier - European Conference on Information Retrieval (ECIR). 2009. We present a class of models that are discriminatively trained to directly map from the word content in a query-document or document-document pair to a ranking score. Like Latent Semantic Indexing (LSI), our models take account of correlations between words (synonymy, polysemy). However, unlike LSI our models are trained with a supervised signal directly on the task of interest, which we argue is the reason for our superior results. We provide an empirical study on Wikipedia documents, using the links to define document-document or query-document pairs, where we obtain state-of-the-art performance using our method. D. Grangier, J. Keshet and S. Bengio - Automatic Speech and Speaker Recognition: Large Margin and Kernel Methods, J. Keshet and S. Bengio (Ed. ), Wiley. 2009. This chapter introduces a discriminative approach for the detection of keywords in speech utterances. Specifically, this work proposes a learning algorithm, which aims at maximizing the area under the receiver operating curve, given a set of training spotting problems. This algorithm relies on a large margin formulation of the spotting task, and adopts an efficient online learning strategy. This approach contrasts with standard spotting strategies based on Hidden Markov Models (HMMs), for which the training procedure does not maximize a loss directly related to the spotting performance. Different experiments performed over TIMIT and WSJ data show the advantage of our approach over HMM-based alternatives. D. Grangier - Ecole Polytechnique Federale de Lausanne - PhD Thesis 4088. 2008. In this thesis, we explore the use of machine learning techniques for information retrieval. More specifically, we focus on ad-hoc retrieval, which is concerned with searching large corpora to identify the documents relevant to user queries. This identification is performed through a ranking task. Given a user query, an ad-hoc retrieval system ranks the corpus documents, so that the documents relevant to the query ideally appear above the others. In a machine learning framework, we are interested in proposing learning algorithms that can benefit from limited training data in order to identify a ranker likely to achieve high retrieval performance over unseen documents and queries. This problem presents novel challenges compared to traditional learning tasks, such as regression or classification. First, our task is a ranking problem, which means that the loss for a given query cannot be measured as a sum of an individual loss suffered for each corpus document. Second, most retrieval queries present a highly unbalanced setup, with a set of relevant documents accounting only for a very small fraction of the corpus. Third, ad-hoc retrieval corresponds to a kind of ``double'' generalization problem, since the learned model should not only generalize to new documents but also to new queries. Finally, our task also presents challenging efficiency constraints, since ad-hoc retrieval is typically applied to large corpora. The main objective of this thesis is to investigate the discriminative learning of ad-hoc retrieval models. For that purpose, we propose different models based on kernel machines or neural networks adapted to different retrieval contexts. The proposed approaches rely on different online learning algorithms that allow efficient learning over large corpora. J. Keshet, D. Grangier and S. Bengio - Speech Communication. 2008. This paper proposes a new approach for keyword spotting, which is not based on HMMs. Unlike previous approaches, the proposed method employs a discriminative learning procedure, in which the learning phase aims at maximizing the area under the ROC curve, as this quantity is the most common measure to evaluate keyword spotters. The keyword spotter we devise is based on mapping the input acoustic representation of the speech utterance along with the target keyword into a vector space. Building on techniques used for large margin and kernel methods for predicting whole sequences, our keyword spotter distills to a classifier in this vector-space, which separates speech utterances in which the keyword is uttered from speech utterances in which the keyword is not uttered. We describe a simple iterative algorithm for training a keyword spotter and discuss its formal properties. Experiments with the TIMIT corpus show that our method outperforms the conventional HMM-based approach. Further experiments using the TIMIT trained model, but tested on the WSJ dataset, show that without further training our method outperforms the conventional HMM-based approach. D. Grangier and S. Bengio - IEEE Transactions on Pattern Analysis and Machine Intelligence (TPAMI). 2008. This paper introduces a discriminative model for the retrieval of images from text queries. Our approach formalizes the retrieval task as a ranking problem, and introduces a learning procedure optimizing a criterion related to the ranking performance. The proposed model hence addresses the retrieval problem directly and does not rely on an intermediate image annotation task, which contrasts with previous research. Moreover, our learning procedure builds upon recent work on the online learning of kernel-based classifiers. This yields an efficient, scalable algorithm, which can benefit from recent kernels developed for image comparison. The experiments performed over stock photography data show the advantage of our discriminative ranking approach over state-of-the-art alternatives (e.g. our model yields 26.3% average precision over the Corel dataset, which should be compared to 22.0%, for the best alternative model evaluated). Further analysis of the results shows that our model is especially advantageous over difficult queries such as queries with few relevant pictures or multiple-word queries. D. Grangier and S. Bengio - International Conference on Speech Processing (INTERSPEECH). 2007. This paper proposes a discriminative approach to template-based keyword detection. We introduce a method to learn the distance used to compare acoustic frames, a crucial element for template matching approaches. The proposed algorithm estimates the distance from data, with the objective to produce a detector maximizing the Area Under the receiver operating Curve (AUC), i.e. the standard evaluation measure for the keyword detection problem. The experiments performed over a large corpus, SpeechDatII, suggest that our model is effective compared to an HMM system, e.g. the proposed approach reaches 93.8% of averaged AUC compared to 87.9% for the HMM. J. Keshet, D. Grangier and S. Bengio - International Workshop on Non-LInear Speech Processing (NOLISP). 2007. This paper proposes a new approach for keyword spotting, which is not based on HMMs. The proposed method employs a new discriminative learning procedure, in which the learning phase aims at maximizing the area under the ROC curve, as this quantity is the most common measure to evaluate keyword spotters. The keyword spotter we devise is based on non-linearly mapping the input acoustic representation of the speech utterance along with the target keyword into an abstract vector space. Building on techniques used for large margin methods for predicting whole sequences, our keyword spotter distills to a classifier in the abstract vector-space which separates speech utterances in which the keyword was uttered from speech utterances in which the keyword was not uttered. We describe a simple iterative algorithm for learning the keyword spotter and discuss its formal properties. Experiments with the TIMIT corpus show that our method outperforms the conventional HMM-based approach. D. Grangier and S. Bengio - International Conference on Artificial Neural Networks (ICANN)}. 2006. This work presents a neural network for the retrieval of images from text queries. The proposed network is composed of two main modules: the first one extracts a global picture representation from local block descriptors while the second one aims at solving the retrieval problem from the extracted representation. Both modules are trained jointly to minimize a loss related to the retrieval performance. This approach is shown to be advantageous when compared to previous models relying on unsupervised feature extraction: average precision over Corel queries reaches 26.2% for our model, which should be compared to 21.6% for PAMIR, the best alternative. D. Grangier, F. Monay and S. Bengio - International Workshop on Adaptive Multimedia Retrieval (AMR). 2006. This work presents a discriminative model for the retrieval of pictures from text queries. The core idea of this approach is to minimize a loss directly related to the retrieval performance of the model. For that purpose, we rely on a ranking loss which has recently been successfully applied to text retrieval problems. The experiments performed over the Corel dataset show that our approach compares favorably with generative models that constitute the state-of-the-art (e.g. our model reaches 21.6% mean average precision with Blob and SIFT features, compared to 16.7% for PLSA, the best alternative). D. Grangier, F. Monay and S. Bengio - European Conference on Machine Learning (ECML). 2006. This work proposes a new approach to the retrieval of images from text queries. Contrasting with previous work, this method relies on a discriminative model: the parameters are selected in order to minimize a loss related to the ranking performance of the model, i.e. its ability to rank the relevant pictures above the non-relevant ones when given a text query. In order to minimize this loss, we introduce an adaptation of the recently proposed Passive-Aggressive algorithm. The generalization performance of this approach is then compared with alternative models over the Corel dataset. These experiments show that our method outperforms the current state-of-the-art approaches, e.g. the average precision over Corel test data is 21.6% for our model versus 16.7% for the best alternative, Probabilistic Latent Semantic Analysis. D. Grangier and S. Bengio - IDIAP Research Report RR2005-67. 2005. In this report, we propose a discriminative decoder for phoneme recognition, i.e. the identification of the uttered phoneme sequence from a speech recording. This task is solved as a 3 step process: a phoneme classifier first classifies each accoustic frame, then temporal consistency features (TCF) are extracted from the phoneme classifier outputs, and finally a sequence decoder identifies the phoneme sequence according to the TCF. D. Grangier and S. Bengio - NIPS Workshop on Learning to Rank. 2005. Information Retrieval (IR) aims at solving a ranking problem: given a query q and a corpus C, the documents of C should be ranked such that the documents relevant to q appear above the others. This task is generally performed by ranking the documents d in C according to their similarity with respect to q, sim (q,d). The identification of an effective function a,b -> sim(a,b) could be performed using a large set of queries with their corresponding relevance assessments. However, such data are especially expensive to label, thus, as an alternative, we propose to rely on hyperlink data which convey analogous semantic relationships. We then empirically show that a measure sim inferred from hyperlinked documents can actually outperform the state-of-the-art Okapi approach, when applied over a non-hyperlinked retrieval corpus. D. Grangier and S. Bengio - ACM Conference on Information and Knowledge Management (CIKM). 2005. Assessing semantic similarity between text documents is a crucial aspect in Information Retrieval systems. In this work, we propose to use hyperlink information to derive a similarity measure that can then be applied to compare any text documents, with or without hyperlinks. As linked documents are generally semantically closer than unlinked documents, we use a training corpus with hyperlinks to infer a function a,b -> sim(a,b) that assigns a higher value to linked documents than to unlinked ones. Two sets of experiments on different corpora show that this function compares favorably with OKAPI matching on document retrieval tasks. D. Grangier and A. Vinciarelli - IEEE International Conference on Multimedia and Expo (ICME). 2005. This paper presents experiments that evaluate the effect of different video segmentation methods on text-based video retrieval. Segmentations relying on modalities like speech, video and text or their combination are compared with a baseline sliding window segmentation. The results suggest that even with the sliding window segmentation, acceptable performance can be obtained on a broadcast news retrieval task. Moreover, in the case where manually segmented data are available for training, the approach combining the different modalities can lead to IR results close to those obtained with a manual segmentation. D. Grangier and A. Vinciarelli - IDIAP Research Report RR2004-82. 2004. This paper presents clustering experiments performed over noisy texts (i.e. texts that have been extracted through an automatic process like character or speech recognition). The effect of recognition errors is investigated by comparing clustering results performed over both clean (manually typed data) and noisy (automatic speech transcriptions) versions of the same speech recording corpus. D. Grangier, A. Vinciarelli and H. Bourlard - IDIAP Research Report RR2003-8. 2003. Spoken Document Retrieval (SDR) consists in retrieving segments of a speech database that are relevant to a query. The state-of-the-art approach to the SDR problem consists in transcribing the speech data into digital text before applying common Information Retrieval (IR) techniques. The transcription, produced by an Automatic Speech Recognition system, contains recognition errors. These errors can be referred to as noise. This thesis investigates the effect of this noise on the retrieval process. We compare the results obtained with clean and noisy data at different steps of the retrieval process. To perform such a task, standard IR measures (precision, recall, break-even point, etc.) are used. It is shown that even with very different error rates (10% vs 30%), the performances obtained over noisy text are only slightly lower than those over clean text (9% degradation of average precision for our complete IR system, 45.2% vs 41.2%). Fairseq is a sequence-to-sequence learning toolkit tailored to Neural Machine Translation (NMT). It implements the convolutional NMT models proposed as well as a standard LSTM-based model. It features multi-GPU training and fast beam search generation for CPU and GPU. We provide pre-trained models for English to French, English to German and English to Romanian translation. WikiBio is a dataset of over 700K biography paragraphs paired with structured data from Wikipedia. It has been introduced in our EMNLP'16 paper to evaluate the generation of text from structured data. We use deep convolutional networks for modeling the complex label structure of street scenes, relying on a supervised greedy learning strategy. Our algorithm learns a keyword spotter with the objective to maximize the area under the ROC curve. The code is available under BSD licence. PAMIR is a model to retrieve images from text queries, introduced last year. The code is available under BSD licence. A workshop linking the past, present and future research on neural networks, co-organized with John Platt, Leon Bottou and Tomas Mikolov. co-organized with Cedric Archambeau, Antoine Bordes, Leon Bottou and Chris Burges. This is a lecture I gave to the UC Berkeley School of Information in September 2011. 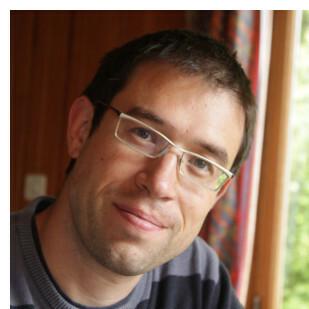 Jean-Francois Paiement prepared an associated lab on Boosted Trees. Samy Bengio and I organized a workshop on learning distances and similarity measures, both the proceedings and videos of the talks are available online.